- Pas de bug entre le chargement au hangar. - Animation sans bug d'hyper vitesse. Lancez ensuite le jeu, tout fonctionnera . utilisez d'abords le patch d'installation pour Vista/Windows 7/Windows 8/Windows 10 puis suivez celui-ci. Info : En effet la version CD comporte un bug empêchant l'installation du jeu sur les windows récent, il est donc impossible de suivre le tutoriel ci-dessus sans utiliser le patch Vista précédemment. Mise à jour en proposant le même patch SANS le correctif de vitesse. Certains m'ont signalé que le jeu tournais beaucoup plus lentement à cause de cette partie du correctif. Sans cette correction le jeu tourne très vite. Pour ceux n'ayant pas le jeu (ou voulant une version parfaite du jeu). You mentioned that your fix is supposed to work with both the CD and the DVD versions, but how should it be applied to the DVD version? Since the installation and folder-structure are different from the CD version. Also, I don't suppose you have a tutorial somewhere that explains how to patch the .exe files? The issue I have is that you used the .exe from a different version, so now my savegames don't work anymore (and some text is now in French). Both my CD and my DVD versions crash at the hangar/elevator, so I'd love to patch these .exe files. Don't use this patch anymore ! It's pretty old now ! Lot of improvement have been done since ! CLICK HERE TO SEE THE ATLANTIS THE LOST TALES : PERFECT EDITION TOPIC ! The Perfect Edition is based on DVD version BUT with lot of fixes included (no more crash on hangar for example, No-DVD, fixed SFX missings, fixed some random crash, fixed missing textures, emulated graphic card, 1080p forced, 100% compatible with Windows 10...). In the perfect edition you have voices, texts & subtitles corresponding to the langage selected. Like you can see in my video, the game runs perfectly on Windows 10 with NO crash at all ! I can be installed over the setup of the CD version or DVD version or for a new installation. Not ON the CD & DVD directly but on the setup on the hardrive i mean (C:\CRYO\ATLANTIS for example) . To patch your DVD version setup, simply copy-paste all files from my Perfect Edition to the folder of your current setup of Atlantis. Make sure to run the setup.reg (so the game will undestand that you read the files from the hardrive and not for the CD/DVD now, because theses files are patched). For saves, you can download mines (i learn from you that CD saves are not compatible with DVD saves). You will keep your profile with updated saves. Edit: I just tried from a fresh CD installation then copy-paste the perfect edition on it => Works perfectly. I have just finished the game, thanks to your version. Thanks a million for making that version, and for uploading those savegames! Unfortunately I did have quite a few crashes. They were completely random, and there was no error. The game would just hang and the sound would loop. I had to Ctrl_Alt_Del to kill the process. But of course it never corrupted my save, so it wasn't a problem, just an inconvenience. I noticed you've edited the first post, while I understand why you did that, I hope you will keep those old files here too. Anyway, I can't thank you enough for enabling me to finally continue and complete the game, I had put many hours into trying to get my CD and DVD versions to work and I was very close to giving up. It's "funny" btw that your version is actually better than the GoG version. I bought it there, but ended up using yours..
Out of curiosity, how would one patch the .exe so that the game does not crash at the hangar/elevator? Is it done by hex editing? Lastly, before I start Atlantis II and Atlantis III, is there anything I should know about those? Are the GoG versions OK or do they also have silly stuff like graphic issues or missing sounds? Thanks for testing the "Perfect Edition" ! . Yes mine version is a lot better than all DRM Free versions online because i a take a lot of times to find and fix differents problems here and here. 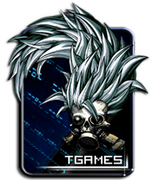 But it's also because GOG use the CD patched V1.1 who had missings effects on characters and missings sounds effects in some cinematics. At this time, the better version for Windows 10 is this one. For the random crashes i don't know where they come, because (like you see in my Youtube video) i don't have them at all. I can play the game from the beginning to the end without any crash. For Atlantis 2 & 3 use the perfect edition, why ? For Atlantis 3 i use the "High Definition Graphics Pack" (from the DVD version) for the game (GOG don't use them, they use the Low resolution graphics from CD version). I also have a LOT better Windows 10 handler (using dgVoodooCpl), no missing cursor, no crash after cinematic, no super fast or super slow gameplay, 1080p forced... ! For Atlantis 2 it's better patched for Windows 10 than the GOG version (who i still have with GOG some crash, not on mine). 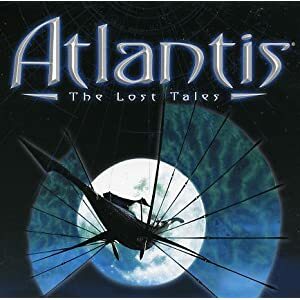 CLICK HERE TO SEE THE TOPIC ABOUT ATLANTIS 2 : BEYOND ATLANTIS "PERFECT EDITION"
CLICK HERE TO SEE THE TOPIC ABOUT ATLANTIS 3 "PERFECT EDITION"
CLICK HERE TO SEE THE TOPIC ABOUT ATLANTIS THE LOST TALES "HUB & VISIT MODE"